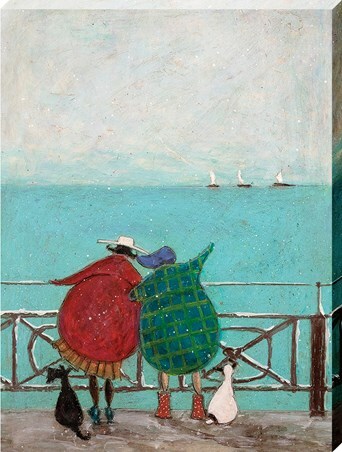 With a big fluffy cloud on the horizon, Mr Mustard shares out his lunchtime snack as he watches it roll towards the promenade. 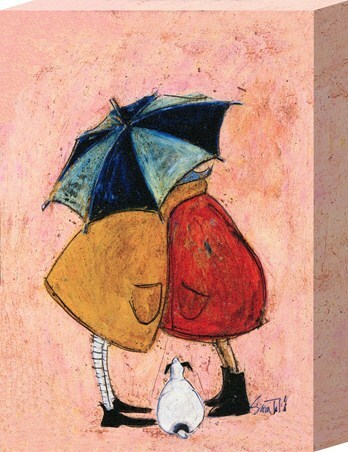 This quaint canvas print also features a small hungry little Dorris as she sits patiently at her owners side, waiting for her share of the scraps. Feeling like they are the only two in the world surrounded by the calm waves, it appears they are not alone. 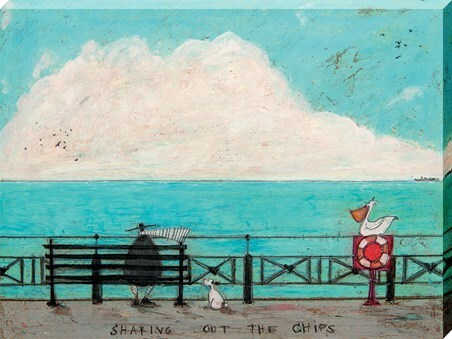 An interested Seagull can be seen out of the corner of Mr Mustards eye, ready to swoop in at the slightest chance he drops a chip or two. 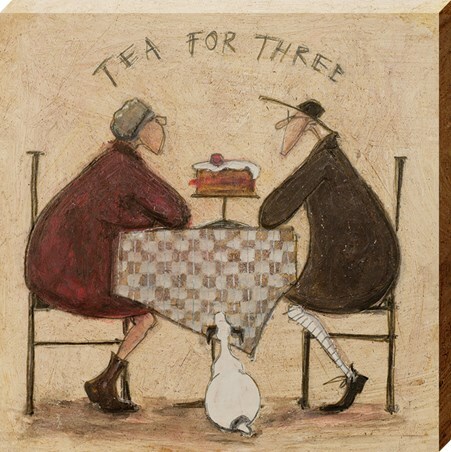 This Sam Toft piece is sure to make an endearing addition to your home. 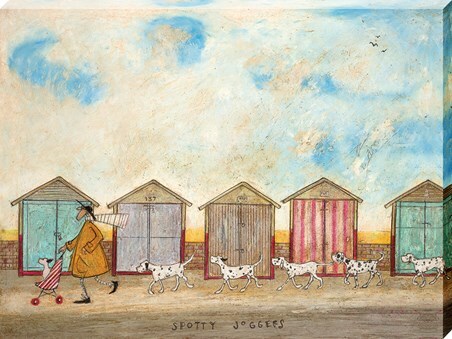 High quality, framed Sharing Out The Chips, Sam Toft canvas print with a bespoke frame by our custom framing service.